The provided information refers to the devices sold in Canada. Screens and settings available may vary depending on your Canadian wireless service provider and your software version (Android 6.0 Marshmallow was used for this FAQ). 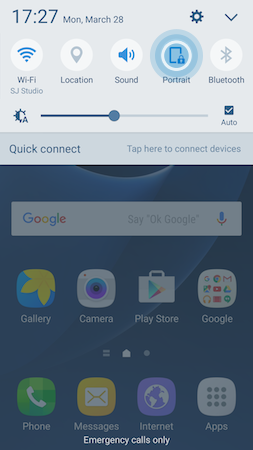 2 Touch Auto rotate in the Quick Settings Panel. It might be required to swipe left, on the top panel, to display the icon. 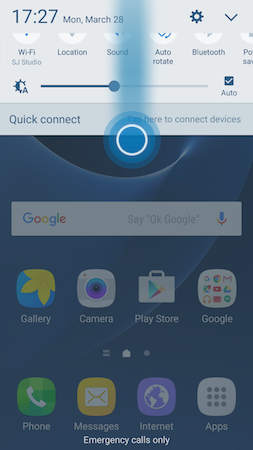 3 To turn Auto rotate back on, open the Notification Panel again and touch Portrait.